"Changing the world comes in all kinds of packages, most of which we leave un-opened … unless we make the choice to breakthrough our limitations. What if your biggest challenge is the key to your biggest breakthrough?" 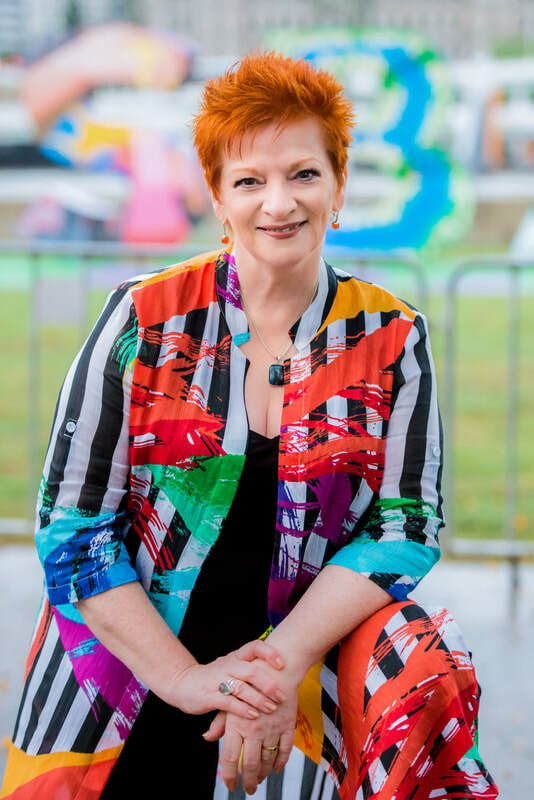 Using my capacities as a professional speaker, Matilda-award-winning theatre director, producer, actor, singer, intuitive coach and creative catalyst, I love collaborating with people to voice their unique presence. Why? I discovered I could change people just by talking with them. I could change their perception of their world, their worth, their ability to share. ​I love the vulnerability and beauty of unpacking the suitcase of quirky stories and epiphanies we each have locked inside. When you free yourself - your voice, your message, your spirit - you become the catalyst for change you’ve been asking to be. I’m perceptive, not predictable. I’m creative, not conventional. I don’t do recipes or formulas. I teach you to use your intuitive senses to their fullest capacities. Your voice and message can flow with ease! I invite you to enjoy improvising and interacting with your audience, rather than reciting your speech by rote. I don’t give you the ‘easy fix’, but you’ll leave our collaboration with permanent change. How? Because you do the work. I’m the paradigm shifter and the catalyst that opens the doors you’ll step through. One more thing...while I’m these things and more, my kind of persuasive brilliance can never be fully defined, niched or copied. And nor can yours! Please don’t call me if you want to be the ‘same, same but different’ as one of your idols. DO call me if you are ready to embody your ICONIC BRILLIANCE© with clarity, intensity and purpose. We’ll create magic!